The memoirs published here is written by Adv. 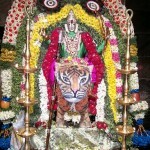 Sri Narayanamurti. The author is a resident of Kalpathy and is the son of the famous Viswanatha Jossier. We are thankful to Sri Narayanamurti for sharing his memoirs to our readers. His clarity in writing and in the presentation even at this age of 80 plus, is admirable. My recollections of the village and its people are based on observations between 1935 and 1950 when I was a student and thereafter based on frequent visits to my ancestral home in Kalpathy. My objective is to re-kindle fond memories in the minds of villagers, wherever they are, on their boyhood days and events. I have great admiration for this quiet and well-laid out village and its well meaning people,then as now. 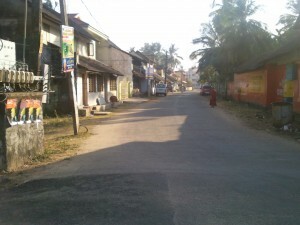 The village is unique in that it has a breath-taking view of the River, the Western Ghats and the greenery across Aandi Madhom, the Passing trains etc. The river bed used to be just wonderful, always clean and with not many rock surfaces, unlike in the other River-side Kalpathy villages. Naturally it was most sought after place for bathing as well as for evening recreations. All Kalpathy children played there or gossiped, regularly. Since the construction of the ill- planned aqua-duct across the river, all river beds are under wild growth and inaccessible. They also make an eye sore. Even elephants used to be brought here, regularly for their ceremonial bath lasting several hours. It was sheer pleasure watching them lying flat in the water and being rubbed clean by mahouts. All cattle in the Kalpathy group of villages were brought here for grazing and cleaning. Mysore T Chowdiah, the Violin legend and a frequent visitor to Kalpathy, was so captivated by the scenic beauty of this place, that in 1941 he chose to locate some important scenes of his movie VAANI here. Chembai Vaidyanatha Bhagavathar acted with him during the scene and hundreds if us boys were witnesses. Curiously, the village had a public well, right in the middle of the road at the eastern end, from which neighborhood residents drew water. This is no longer there; I believe it disappeared 25 or 30 years ago! 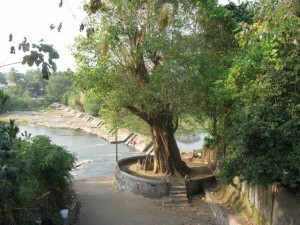 The banyan tree between the steps leading to the river is also very old, at least 200 years! With all this, I believe this village was better qualified to be labelled ‘Heritage Village’, rather than the two Kalpathis, which are undergoing systematic ruination. I recall with much veneration, several good people who lived in those times and enriched the village. The foremost is Col. G.R.Parasuram, who was one of the earliest doctors to obtain F.R.C.S from London, where he studied. After retiring as Director of Medical Services in the Madras Presidency, he settled down, just outside the village and founded a Mental Hospital, which became immensely popular. He was also interested in civic affairs and became Municipal Chairman. Road maintenance, lighting, water supply etc were all introduced due to his efforts. His son G.P Ramamurthi, a Pharmacist, started Mount Pharmacy which imported foreign medicines on a large scale, also started Mount Mettur Pharmaceuticals which manufactured several medicines. He was a Legislative Council Member in Madras, always wore Khaddar and was a favourite of both Rajaji and Kamaraj alike. He is 96 plus, in good health and lives in USA with his son. 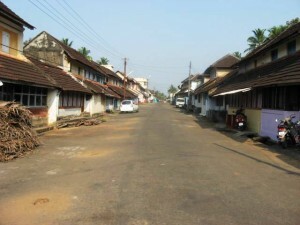 Other prominent residents of the village were G V Sesha Iyer (DEO), his son Veeraraghavan( Director- Food, Govt of India), Parasan Rama Pattar and his brother Krishna Pattar, Sivaramakrishnan Patta the high profile donor and ‘Uriyadi’ organizer, his sons Auditor G S Ramachandra Iyer, Rasu Iyer and Bee- Keeper Sundaram. Dr Chamukutty and his musically talented sons K C Krishnan, Sethuraman and Radhkrishnan. Krishna and Sethuraman both studied Printing Technology and headed the Publications & Stationery department in Punjab. There was G N Seshadri who was Secretary to Vadasseri Mannadiar, also started the first flour mill in Kalpathy, which is functioning well even now. V E Ramamurthy and V E Subramanian (Chartered Accountant, Love Lock & Lewis) were very popular and smart students. K V Ranganathan, Director of Telegraphs (Dimunitive Chuppunni’s Uncle) belonged here. Swetaranya Iyer (Registrar of Assurances) was another prominent and upright villager and every one of his many children did well in life. His daughter Rajam, Octogenarian, still lives in the ancestral house. The Varadaraja Vadhyar – Mahadeva Vadhyar families have enriched the village, very substantially, both as village priests and as patrons for all events in the village. Ramu, Mani and Rasa deserve special recognition for their deep involvement in village affairs. C R Venkataraman, my good friend and contemporary at school and college became Headmaster of Municipal High School. A very eloquent speaker in Malayalam, he turned out to be a popular Purana- Pravachaka in later life. Brick- Kiln pioneer Krishnamoorthy and his brother Ramaseshan (Burmashell) were among the other notables of the period. Ankichi Paatti was a domineering personality who headed a family of three generations, when I was a child and later in my teens. I do not know many details about her, but she was a bundle of activities, a strict disciplinarian and sort of a business woman. She owned several heads of cattle and was into the dairy business, on a medium scale. The business extended into neighbouring villages and every member of the family boys and girls, participated in running it successfully. She earned enough to enable the very large family to live comfortably. My father, whom she used to visit for astrological advice, was all admiration for her uprightness and capabilities and considered her an ideal family head. Her Children Chellappa ( Whose son Seshadri was my class mate) and Ambi, the Cinema actor (he was a comedian and acted in Jayakkodi and Vanamala tamil movies), grandsons Seshan and Swaminathan (Chama)- both played foot ball and were in the municipal school team- all showed enormous respect to her and benefited greatly from her leadership. The Paati was also a sort of a physician (grandma remedies) and specialized in ‘Jaundice Cure’ (Kaamalai) resorting to chanting of secret mantras, holding two sewing needles in hand. The cure was sure and amazing. Pudusseri Ramu and his son Konthai, who was well known for his wit and humour ( after the age of 40 or so he got a job in a U.S.outfit in Delhi).Seshu and his sons Srinivasan and Aghoram, are the other names that come to mind. Easwara Vadhyar (who died before I was familiar with the village) had sons Vichu, Ambi and Narasu, of whom the last was a genius at school. So were the children of Krishna Vadhyar (a great vedic scholar), G K Subramanian and G K Sankaranarayanan (he had a cleft-lip,which had no treatment then in Palghat) and G S Ramachandran, known among students as Gandhi (he wore glasses and looked very much like the father of the nation) were all very impressive individuals. 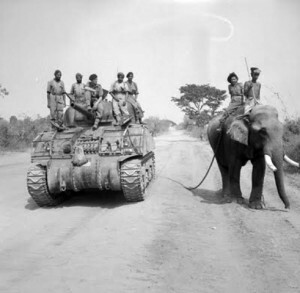 The second world war (1939-1945) brought several refugee families to the Palghat villages from Penang, Singapore, Rangoon etc. which came under Japanese occupation, also from Madras which had been bombed in 1941 (at Parrys corner). The Mayuranathan family (he was son of Uruman Nanu) came from Rangoon, also another large family which settled down at Swetaranyam house which was vacant. I forget their names, except one of them Krishnan. He was an intermediate studentat Victoria College and was expelled for participating in the Quit India movement of 1942, organized by Mahatma Gandhi. I believe he joined WIMCO later. G V Subramanian was another notable. I have not known him- but when I was working for GEC from 1964-1988 and visiting Bombay office, I had heard about him heading the very important Contracts Division there which he ran efficiently, and trained his successors. Thanks to him, I believe, I could see a few Govindarajapuramites working there very successfully. He had a house in the Down street. Unforgettable Chellapa Master – he would stink of snuff when he came within 10-15 yards was a very kind – hearted guardian- teacher in the Sanskrit school, where I studied for 2 years. He lived just behind the temple in the house (now occupied by the indomitable Azhwar Krishnan, the pickle king). His son Attu (I do not know his real name) was a handsome six footer, unlike the father and could be seen walking on his bamboo – styles in and around the river bed, the steps, the village etc. He was a bundle of talent and worked for Tata steel in Jamshedpur. Nanjunda Bhagavathar was his neighbour a handsome, portly person with a huge moustache, unusual for villagers then. He was a respected singer and music teacher. And who will not recall the Kadai Raman family (Ambi & Rangan) and Thippili Nana who did odd jobs and G P Krishnamurthy (Checha) who was a very talented bowler in Victoria College Cricket team.His career was cut short when he died in a rail mishap. And Ponnamma Paatti (also called Jilebi Paatti) who would make ‘Jilebis’ at home and loved giving it away to children around or who came home calling for Avani Avittam. Speaking of Azhwar Krishnan, he has truly baffled me. He has a divinity about him and I have seen him closely for over 75 years now. 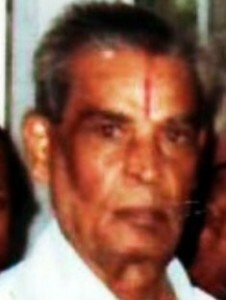 When I was in standarad III in Vettaikarankavu School in 1930’s, his father was the temple priest. He was in charge of the ‘Thanneer Pandhal’, over the village banyan tree podium and how kind and loving he was towards us unruly children who would rush during intervals to have ‘Sambaaram’ from him. Later he married the Old Kalpathy Azhwar’s daughter and used to be engaged to serve drinking water to students during university examinations. 24 X 7 active, I still see him going around, erect and fast even at 95 or so, making youngsters look ridiculous. 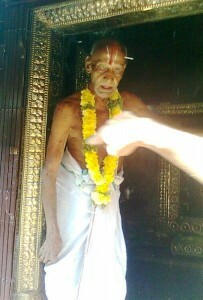 He was Govindarajapuram temple priest for several decades. The prospect of making pickles even then – 50or 60 years ago- on a commercial scale was an innovative idea of his and speaks well of his business acumen. His sons are into the same lines- Chips of the Block!!!!!!!! P N Sankaran (TATA- Jamshedpur) lived in the Down Street during his college days in the late 1940s. A Basket Ball player himself he headed the Basket Ball Federation of India for several years. A skilled manager, he is still very active in Jamshedpur’s social and religious life. The one and only Medal Krishna Iyer also lived there and wore with pride a gold bracelet presented to him in recognition of his culinary talents. 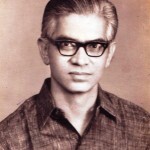 A S Venkataraman (who fought in the second world war) and returned to college when it ended and his brother A S Ramakrishnan were both my class mates at college and lived there too. They hailed from Aylam and were very popular in the village. G P Raman and his brother Chidambaram were both very humourous characters. I used to meet them in Chembur, while visiting my brother. There was another Chidambaram, who carried lunch for school/college students, and had improvised a four-wheeler push cycle for the purpose. The Varadaraja Perumal temple has fostered and enriched the village much more than temples in other villages. One reason for this could be its strategic location, making it necessary for every villager to encounter the lord whenever they went out for work of any kind. This is not so in my village (New Kalpathy), for instance, where temple visits consume time and are a planned affair because its location is at the far end of the village. Govindarajapuram temple is at least 600 years old and credit should go to the Arangode Ramakrishna Iyer family (especially the son- in law Srinivasa Iyer, an affluent and dynamic man) for reconstructing and managing the temple affairs, after the temple lands were taken over by Government, around 1965. 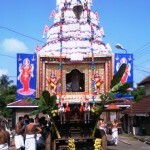 Surprisingly, Lord Varadaraja has manifested in the village more majestically since then, thanks to the villagers devotion and response to the needs of the temple. 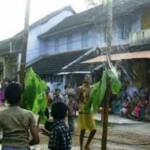 The annual car festival (April- May) was the only village festival and there was not much fan fare. I had attended the festival. Most homes offered Jack fruit,Mangoes, Bananas, Paanakam etc. to the Lord when the chariot passed by and then distributed it to all. Nowadays, the festival is held in style and the pattern has changed. It has become more spectacular, with fire works etc. On the other hand, Saastha Preeti which was a non-event of those days – only Paayasam Neivedhyam was offered in the temple- is now a mega event, with a week long engagement of entertainment, bhajans, etc. and a very sumptuous feast for thousands, from all castes. The youngsters of the village are very caring and their approach and management styles in these matters are very comforting. Before I wind up my memoir I thought I should touch upon a rarely debated subject concerning Tamil Brahmins of Palghat. Where did they come from, why and when? How were the villages built and what inspired their course? All million–dollar questions, having no precise answers. Having been a keen student of history, and having read relevant literature over many years, I venture to make some observations, with which one is free to disagree. All of us, identified as ‘Smarthas’ or better still ‘the Iyers’ came from different parts of Tamil Nadu, especially from around Trichy- Srirangam, Madurai, Vaideeswaran Koil,Mayavaram, Tanjore etc. The entry point could have been the Palghat Gap through which the present highways to Coimbatore and Pollachi run. The destination of the earliest migrating group could especially, have been the Kalpathy river bank, because these migrants were obsessed by a river valley culture, nursed by the River Kaveri. Naturally, and along the river bank, came to be built the villages of old Kalpathy, New Kalpathy (upto Govindarajapuram turning), Govindarajapuram, Vaidyanathapuram and Chockanathapuram villages, in that order. New Kalpathy must have been extended on the eastern side, later, by levelling down the hilly portion of the river bank. One look at the Kalpathy village in the Google earth map will convince us about the admirable skill of our fore fathers, who located our homes so ideally. It will be noticed that all the five villages run parallel to one another and very closely following the river bank alongside. 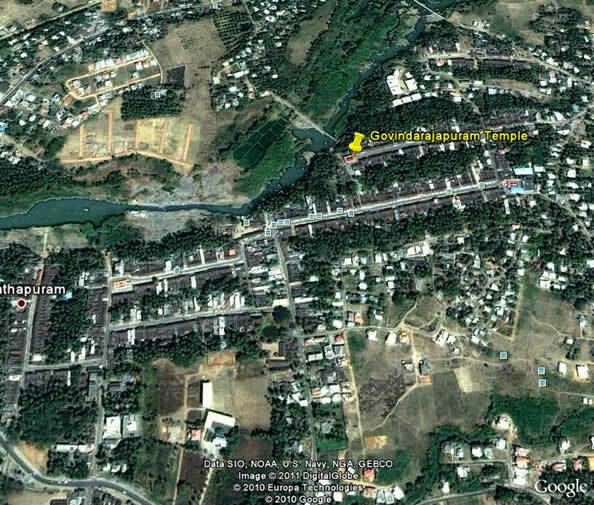 Chathapuram must have been an after thought, that is why it runs perpendicular to the river. It also had to do with a narrow street. The motivation for the migration of such large numbers of very learned, very intelligent persons could have been two fold. There was a sense of insecurity and unrest in the Tamilnadu region following the murderous invasion of the Southern Kingdoms in the 16th centuy by the Bhamini sultans and the religious wars fought by Krishna Deva Raya (1509-29) of the VijayaNagar Kingdom. For our forefathers, in any case, the experiences of living could have been undignified and challenging. Almost synchronizing with the situation, was the arrival in 1498 in Calicut, of the adventurous Vasco da Gama in three sailing vessels. The Zamorin, who was a powerful king, welcomed him and there followed large scale international trade in spices, timber etc. Other major European nations also came in with similar agenda. This opened up employment and business opportunities for a large number of clever and intelligent people with abilities to communicate all along the Kerala coast and hinter-lands. Larger groups began to migrate to Kerala and started building villages and settling down all over Kerala and in secluded areas where they could live respectfully and in groups. The then Palghat Raja and Chieftains were very hospitable. That is how villages came into existence every where in the Palghat suburbs adding to the figure of 96 agraharams. In many cases the village names and deities were the same as they had in Tamilnadu. It is interesting to note that about the same time other migrating groups from Tirunelveli, Ramanad etc. also crossed over to Kerala via Shencottah and settled down in agraharams in the southern districts of Kerala, Trivandrum, Quilon, Alleppey and Kottayam. The two major groups have been distinguished as Palghat Brahmins and Pandi Brahmins. For those interested in further enquiry, I recommend THE HISTORY AND CULTURE OF THE INDIAN PEOPLE Vol VI published by Bharatiya Vidya Bhavan. The story of the adventurous Palghat Brahmins, the 96 and more agraharams with one or more temples in each one of them, their life styles, mother tongue, dress, food, arts and culture, etc have fascinated and inspired generations and will continue to do so. No wonder then, that boys from our villages are seen everywhere in the world and in every walk of life. They continue to revere their native villages and deities and support all creative activities. May Lord Varadaraja bless them all.